Vehicle safety in Florida is a serious issue. Often, drivers in Brooksville, Spring Hill and Wesley Chapel do not realize how their driving habits might impact their own, as well as others' lives. Driving in unsafe conditions can pose serious threats to the safety of others. Bright headlights, for example, should only be used under certain circumstances and always with caution and care. In general, for vehicle safety, bright headlights should be used when possible on dark city streets, or open country roads, as long as it is not illegal to do so. Laws can change, so keeping current on local Florida driving rules is essential. In the state of Florida, weather conditions in Brooksville, Spring Hill and Wesley Chapel can include dense fog conditions, particularly during winter months. While this is not always a time to use bright headlights, it is appropriate instead to either use special fog lights if your vehicle has them, or regular headlights. European cars usually have a switch for turning on bright rear fog lamps, while most American vehicles do not. Even when it is clear outside, driving at night is more challenging for most people than when driving during the daylight. This is because it can be difficult to see other vehicles and the road signs. Also, it is harder to judge distance between vehicles. Use regular headlights during night driving. If the road is open, it is very late or very dark, use bright headlights safely, but never in a way that can blind another oncoming driver. In general, turn on a half hour before sunset, and use them until after the sun rises for half an hour. Turn bright headlights on to see greater distances if there are no foggy conditions. Be certain to switch back to low headlights whenever another vehicle is approaching, to prevent "blinding" the other driver by the bright lights. Avoid looking directly into oncoming headlights. Keep your gaze toward the right edge of the lane. Watch oncoming vehicles from the corner of your eye. Never decide to "get back" at other drivers by keeping bright headlights on, as this could blind side both you and the other driver. Pedestrians and bicyclists are more difficult to see at night. Because motorcycles only have one taillight, they are harder to see during the night. More highway construction takes place at night. Reduce your speed in highway construction zones. When leaving brightly-lit locations, drive slowly enough to allow for your eyes to adequately adjust to the darkness. Whenever a vehicle with one light is driving in your direction, drive over to the right as far as possible, for the best vehicle safety. Even though the vehicle may wind up being a motorcyclist or a bicyclist, it could just as well be a vehicle with one missing headlight. In Brooksville, Spring Hill and Wesley Chapel in Florida, there may be signs on the road that indicate when to use bright headlights. In any case, always be aware of other drivers when using bright headlights. 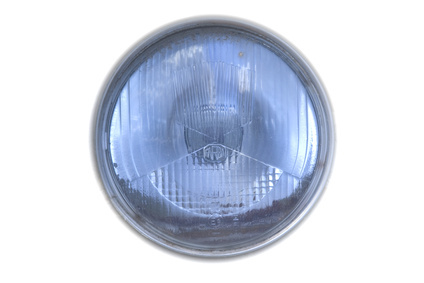 Dim headlights as necessary, to ensure the best vehicle safety and prevent auto accidents.